The Leo Workwear Pollyfield Sleeved Polo Shirt is beautifully designed and features clever fuchsia detailing. 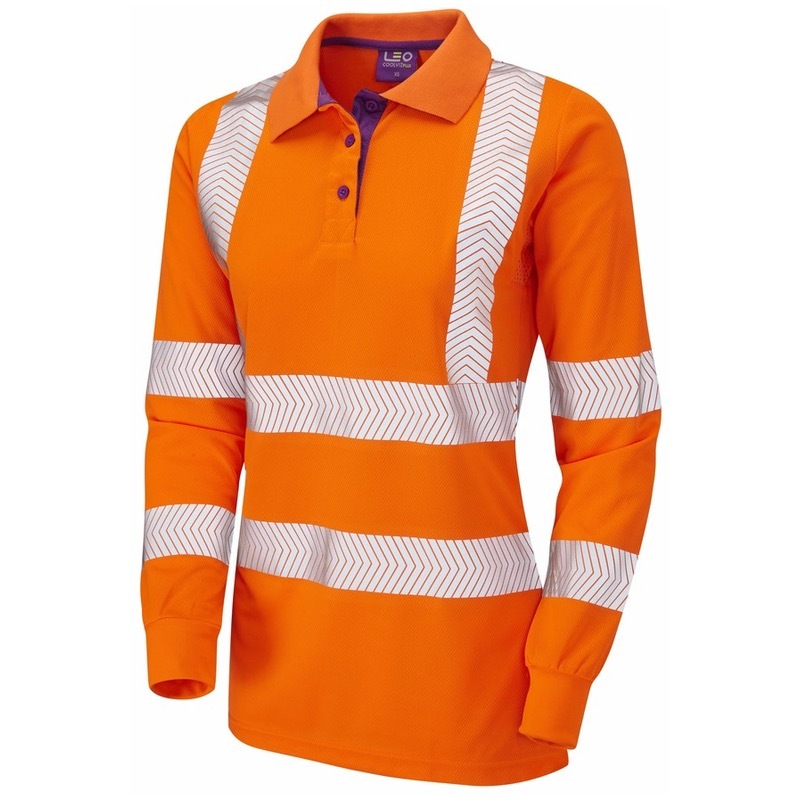 Constructed from a lightweight quick drying polyester and benefitting from segmented stretch reflective tape, it is perfect for keeping you cool and comfortable whilst working in the warmest weather conditions. I love this top, so comfortable and the sizing is spot on. 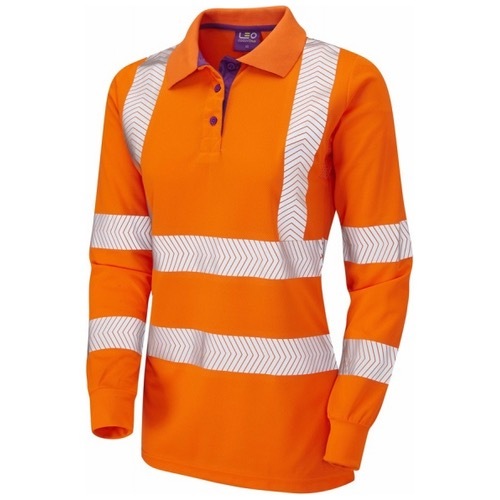 Great to finally find some decent hi vis for Ladies. Dries quickly. I will be buying more.